There’s been a resurgence of the American road trip! More and more families are getting out on the road and discovering what new sights they can discover. Our family has taken many road trips over the last decade and a half, and have designed a road trip packing system and layout that works for well for us. I’m also sharing a packing list of road trip essentials that help us survive long hours in the car. First, I suggest that each person (and child) pack a small bag or tote of their favorite toys/activities. For adults, this might be magazines, books, electronics. Kids might pack some books, coloring books or journals, electronic toy(s), printable activities/games, dolls, or legos. These small bags are what we pack next to our seats. A food bin is a big must for any road trip. I like to use a small box to store all our snacks. I make each of our girls their own plastic container of special snacks, this was learned after one too many, “but Mom, she already had two granola bars…”. If each child starts with the same number of “fun” snacks, they can’t argue if they eat all theirs. We always pack some general pretzels and such, but the special snacks are limited. Here’s a look at how we pack our car for a road trip (with a family of 4) and what we bring. Affiliate links are included in this post. This is where the main passenger (usually me) keeps their stuff. I like to pack magazines, my iPad, and my purse in a narrow tote. We keep electronic chargers here along with many of our road trip essentials. Sticky fingers, runny noses, chapped lips, and spills can all make your road trip one of agony instead of joy. Here’s a list of essentials items that will help you keep your car clean. Paper Towels – spills can happen, make sure you’re ready. Toilet Paper – just in case you need to make an emergency stop on the way. Kleenex – don’t be stuck using napkins to blow your nose. Wet Wipes – kids and adults can get sticky hands and faces, we constantly use wet wipes on road trips. Odor Eliminator – spilled ice cream, dirty shoes, stinky car – no thank you. Facial Towelettes – your face can get greasy and blah feeling after a long drive – even my husband loves using these on long drives. Lip Balm – dry lips are no fun so be sure each person has their favorite lip balm. Dental Floss – driving with something stuck between your teeth is no fun! Lotion – dry skin can feel dreadful, pack some lotion so you can keep your hands moisturized. Hand Sanitizer – great for a quick clean before digging into a yummy snack, also great to use after pumping gas. Lens Cloth – if you wear glasses or sunglasses, pack a lens cloth to keep them clean. We have a special car trash can that loops around my seat belt latch and has an elastic opening so things don’t fall in or out accidentally. You can also use a plain plastic grocery bag looped around the gear shift. I recommend each row of passengers have their own trash bag.
. Our girls love watching some of their favorite movies while on a road trip. Of course, you may decide to skip this.
. You can also consider packing a plastic tote that is placed below your child’s feet. For us, we try to make it so the girls can easily access their activities and snacks. This is where we keep all the road trip snack goodies. Easy reach for each person. For kids, I recommend making them each their own snack bag or box so that there are no arguments about who’s had too many of one kind of snack. Each kiddo should get the same amount of fruit snacks, granola bars, etc. Make sure you remember wet wipes & napkins. Another tip is to bring lidded/sippy cups for the kids. They work great for sharing a bottle of juice or water, and no spills! For adults, consider a thermal mug if you’re a coffee drinker. Your hot drinks will stay much warmer than those disposable cups from the store. Bring reusable water bottles, too. This is normally another bag and carries more kids activities and games. We normally have a blanket for each kid in this space too. If the road trip isn’t too long, this could be the only space you store kids activities. We’ve used boxes and this backseat organizer for placing between the girls’ seats. Bags and stuff you don’t need to access while driving goes here. We often have one hotel stop on our main road trip drive, so we pack one overnight bag with all of our stuff for that hotel night so we don’t have to bring in each person’s luggage. Another tip is to keep some extra snacks/treats or special drinks and such back here so you can dole them out when you stop. I’m looking forward to creating a road trip packing list so be sure to follow along and watch for it! Now you’re ready to pack your car for your next road trip! Fabulous! Thanks for the kuddos. I stressed about if it would make sense and figured it would work for the majority of vehicles (even if you don’t have a third row). Have a great weekend & thanks for stopping by! Great tips. My family has done 10s of thousands of miles of road trips (not exaggerating) and we just recently started doing the overnight bag thing. It has made a huge difference and makes life so much easier on those one night stops with a ton of luggage. The way you use those thirty-one bags is great, I might have to look into that. Having that one overnight bag is such a lifesaver! Our girls love their thirty one bags, they even have their names embroidered on them. :) Thanks for visiting & happy travels to you too! Found this on Pinterest and had to read… we’re driving from WI to AZ for spring break to visit my dad! 1/2 way is Denver on the way out, and going a different way on the way back, stopping at a friend’s house in KS :) Thanks so much for the organized tips!! We road trip from NJ to FL twice/year. We bring in anything we can’t afford to lose – medications, two days’ worth of my kids’ Rx formula, electronics – and leave the rest. So far, so good. We have 7 people and a packed-to-the-gills car that looks like a giant game of Tetris. It would take us almost an hour to unload/reload. Hey Melissa – I’m trying to recall which drive was mentioned here. What road trip are you referring to and I’ll be happy to give you our route info! Hi Michele, we’ve always brought in our electronics and valuables (like Meg mentioned above). Our meds and stuff we can’t do without is normally already packed in our overnight bag. When we travel for Christmas, we bring in our wrapped gifts, just so there’s no temptation. We’ve always left our luggage in our car, and so far never had any problems. That’s not to say there’s not that chance. We actually leave the dvd players hooked to the headrest too, and cover them with the kid’s blankets. Most of our roadtrip stops are in small towns. Perhaps if you were parking/stopping in a major city, with more foot traffic temptation, you might have to reconsider what you leave in your vehicle. Sounds like fun, I’ve never gone on a road trip with my kids, perhaps some day I will. Thanks for visiting Aishaz. You can still have some great roadtrips with a partner or friend! These are awesome tips–I also found this on Pinterest and couldn’t resist pinning (even if we have a family of 10 and a 15 passenger van). My family is leaving in a few days and I will definetly recommend some tips. Our last road-trip was from IL to MX – too bad I didn’t see this until now! Thanks for the tips…we travel QUITE a lot so this will come in very handy. Have a great day! So happy to hear that the overnight bag helped! Hope you have a safe and fun return home trip! I’m going to give this diagram a shot. We have 7 people (plus gear) crammed into a Yukon XL, and just about every square inch is in use. Kid bags and food are our nemesis — as they get bigger, the toys take up less space, but the amount of food to keep them quiet has exploded! Such pressure Meg! :) I hope it helps. The food thing is the big one. Don’t forget you can store some extras in the back and add to the front food bin during stops. As long as you don’t have gum problems, I find pieces of gum go a long way towards the “boredom” snacking. Just make sure they know where to put it when they’re done! This is fantastic!! We’ll be taking a road trip this summer. Definitely pinning this! 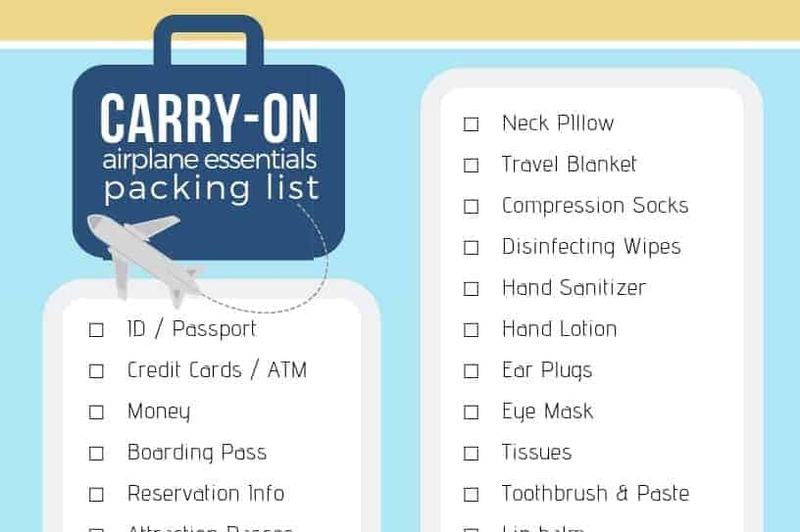 Hope it helps your travels go smoothly! We don’t have the luxury of so much space in tiny European family cars :) but our car is packed in a similar way. Next road trip is to the Netherlands! Netherlands…oooooohhhh! We are used to having big cars here in the states. :) Hope you have a fabulous trip! I love the diagram, I need to show this to my kids the next time we are getting ready to go someplace, they always have stuff everywhere! Thanks for the tips. I’m still looking for a way for my two kids who are in car seats to be able to reach their own fun bags. The floor is out. Any suggestions? Hi Nan. Absolutely — so move the kids bags to the middle next to their seats. Then you’ll have to keep the extra toys or certain activities on the floor (behind driver works well for passenger to see/reach). Then you can grab the certain item they need if they don’t have it in their personal bags. Hope that helps. I love it Sherri! Glad to know there are others out there creating systems. :) My in-laws have done the rubbermaid bins and loved them. We’ve used them for camping trips mostly. Sounds like you’ve discovered that getting things to fit together nicely is part of the secret to a well packed road trip. Where’s your summer road trip this year taking you? Doing a “drive-by” from Pinterest and SO glad I did! Thanks for the awesome tips!! So glad you stopped by Suzi! Hope the tips help! Hi, I was wondering what type of car you own and if the middle had three seats or was it only the back? Hi Talia, our van has a center seat that is narrow and can be removed. We drive a minivan, but I believe this setup should work for most people who have a three seat backseat. If you don’t have a middle seat, you could use a larger box or tote for the kids toys. Or even have a plastic bin in between the seats and place the kids’ stuff on top of the bin lid. Saw this on Pinterest; our family uses the same system! One thing that also works for us is using a cutting board between the bucket seats in the middle. It fits snugly on top of the arm rests and is a great place to set a coloring book or sandwich. Thanks for hopping over Mary! I love the cutting board idea! Thanks for sharing. LOVE this! Just found it on Pinterest. Having an organized and functional car is KEY to traveling with kids. Strange question though, we’re car searching when baby #2 is on the way, what car is this that you have pictured?? I’m determined to not get a minivan but we need third row and captain seat option in the middle. THANKS!! Great question Meredith, and unfortunately I can’t help determine the car as I found it in a stock photo site and I can’t even remember which site that was at this point. Sorry! I think I was searching for van interiors or suv interiors or something to find the image. My advice would be to do a google image search for something like “3rd row seating interior” and see if you can find something there since auto makers often place those kind of images on their websites. Thank you for the diagram and descriptions, exactly what I was looking for! You’re welcome! Glad it was helpful. Hope you have a great trip! Love this! This is mostly how we pack our car for road trips, but I love your graphics. My husband can never seem to remember where to put anything when we pack. I think I’m going to print this out and put it in the glove box! I also love the idea of the seat mounts for the tablets. We’ve had a two screen DVD player forever but it’s finicky and my boys got tablets for Christmas. This way they can watch their own movies and use individual earphones without cords running all over the back of our car. Thanks for the tips & graphic! You’re welcome Elizabeth! Thanks for commenting and I hope it helps you (and your hubby!) on your next road trip! Now, how about packing with 3 kids in a pickup truck?! I can help with this a bit. We just took a trip in our truck with our three kids. My kids are 7,15, and 17. We used some large rubber maid tubs for our truck bed. We had a large one that we placed all our clothes in. The key with this tub is to place each person’s underwear and socks into their own large ziploc bag with their initial or name written on it. We did not do luggage at all for the trip. We had another tub with any food items not going up front. A third tub with any extras not going up front. Under the two outer seats, we kept backpacks of what the kids wanted for the trip up and back like tablets, paper and pencils, etc. I have a medium sized picnic type bag that has no top but two handles and in it we placed the snacks which was then placed on the floorboard up front between passenger and driver. The middle child in back had hardly any room under his seat so his backpack was under his feet. The tubs in the truck bed were held in place with bungee cords. This was our first time doing it this way and it worked beautifully for us. If something in the tub was needed we just hopped up in the truck bed when we stopped and got it out. The tubs also kept the rain out really well. I will be posting this on my blog in a bit more detail in the next few days if you need more details. Kimberly, I just the layouts you have pictured. When we had our third row SUV we did the same type organization. It really does help to know where everything goes! Thanks for chiming in Amber! It’s great for other readers to be able to benefit from people who have driven different types of vehicles! The rubbermaid bins are great. My in laws have used them before for when they took camping trips. These are great tips! And I have a question- what kind of minivan is shown in the picture? This is great if you have three rows! With two kids in a tiny sedan, space is a premium. For a week-long trip, we have to store things under the kids’ feet and packed tight between them. This includes a full-to-almost-popping-open trunk. I wish we had the money for a three-row vehicle! In this diagram we don’t actually have anything in the third row — #8 is the trunk space. But I agree it is tougher with smaller cars! One of the tips I like is to use plastic storage crates under feet in the floor boards in smaller cars to the kids can place their feet on them and the activities won’t be ruined by dirty floors or shoes! Thanks for stopping by Cheryl! Wow, you are a very organised road tripper! Good ideas though that could easily be adapted for 4WD journeys and other sorts of vehicle travel – thanks! Thanks so much Steph! Glad you liked the post and hope it gave you some new ideas for future adventures! I am leaving for my road trip in just a few days, but I am traveling solo. I am trying to figure out if I really need to spend all that much time worrying about what I am packing and where, if it is just going to be me in the car. Love this diagram and the ideas for kids, wish my parents would have been this organized, but it usually meant me cleaning the car every time we stopped, because I was searching for my shoes that always got taken off. Hi Elyse – thanks for taking a minute to comment! My brother-in-law is an expert at keeping their car organized during road trips and they put everything away and clean at every stop. It really is the only way to manage it all! I hope you have a fun and safe road trip adventure! From personal experience: if in a car and packing things in a trunk be careful if you try shoving small things into all the small left over spaces. Last year on a family trip to the Sequoias my 2 adult sons were packing our car when we left to head home. They shoved things like jackets ect into the small spaces around the luggage in the trunk. Did not notice they had somehow managed to tug the middle brake light out of the housing and it was laying on top of the jackets. Sitting in line at the local Costco to get gas for the long trip home my son had his foot on the break. Just as we reach the pump (finally) we smelled smoke, I looked back and smoke was pouting into the car from the truck. Quickly popped opened the trunk and yeah there was a fire. Luckily had water bottles right in reach and were able to pull jackets out and extinguish the fire. Very scary esp at a gas pump! Wow, I’m glad you’re all safe! Thanks for the tip! So organized…love it! These are great tips! Nice tips and love the visuals! Glad you’ve mentioned the first aid kit. It’s important to check this before the trip and keep it where it’s easily accessible, especially when you’re traveling with kids. I usually keep a travel size pain relief oil, since it works for multiple situations. Also, a roll of toilet paper comes in handy to quickly clean up any spills or to wipe something.